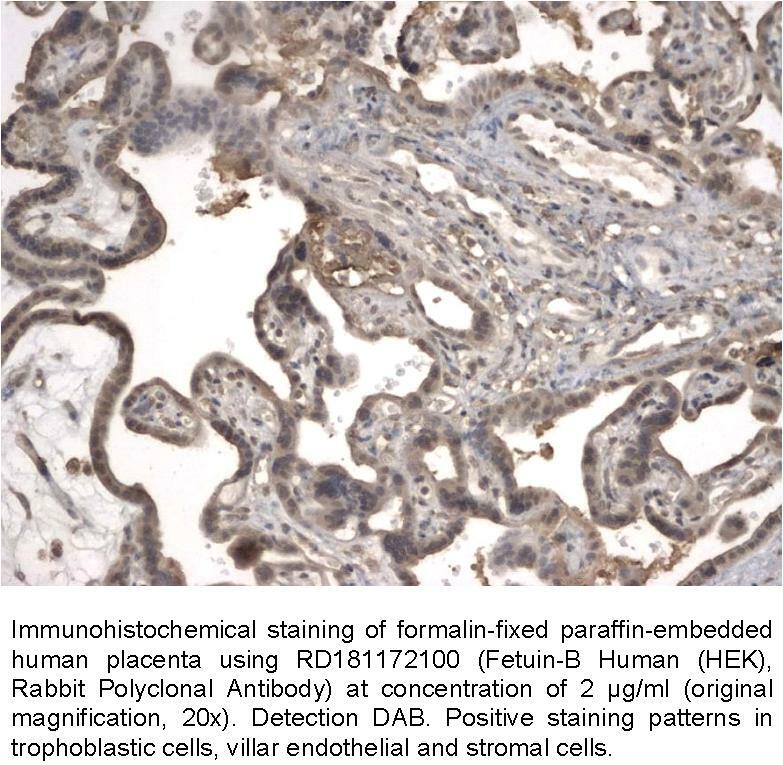 The antibody was raised in rabbits by immunization with the recombinant Human Fetuin-B. MW: 41.8 kDa (calculated), migrates at ~ 55 kDa on SDS-PAGE; N-terminal linker (4 extra AA highlighted), C-terminal His-tag (6 extra AA highlighted). Immunoaffinity chromatography on a column with immobilized recombinant Human Fetuin-B. Fetuin B is a member of cystatin superfamily proteins, comprises two cystatin domains. It was found in secreted form in serum, it is expressed in liver, tongue and placenta. It regulates osteogenesis by inhibition effect on mineralization. It plays a role in oocyte maturation.